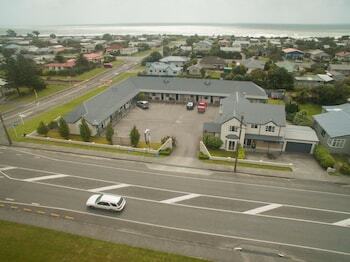 When you stay at Fitzherbert Court Motel in Hokitika, you'll be near the beach, within a 10-minute walk of Hokitika Lighthouse and Glowworm Dell. Featured amenities include complimentary newspapers in the lobby, dry cleaning/laundry services, and a 24-hour front desk. Free self parking is available onsite. Located in Tai Tapu, Otahuna Lodge is in a rural location and within the vicinity of Ohinetahi Garden and Cashmere Stream. With a stay at Ledwich Lodge Motel in Rotorua, you'll be within a 5-minute walk of Matariki Hangi & Maori Cultural Performance and Eat Street. Free self parking is available onsite. With a stay at Courtenay Village, you'll be centrally located in Wellington, steps from Courtenay Place and 7 minutes by foot from Te Papa. With a stay at Continental Motel in Whangarei, you'll be within a 5-minute drive of Mair Park and Whangarei Quarry Gardens. Free self parking is available onsite.